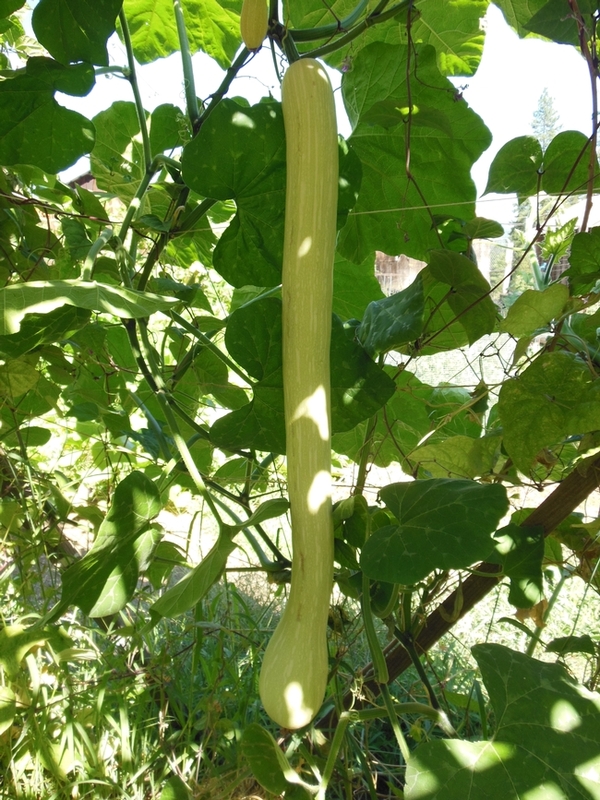 For vegetable gardeners, this is the time of year that we seem to find that HUMUNGOUS zucchini that I swear wasn't there yesterday. Vertical trellises are one way to make your squash easier to see. Maybe. 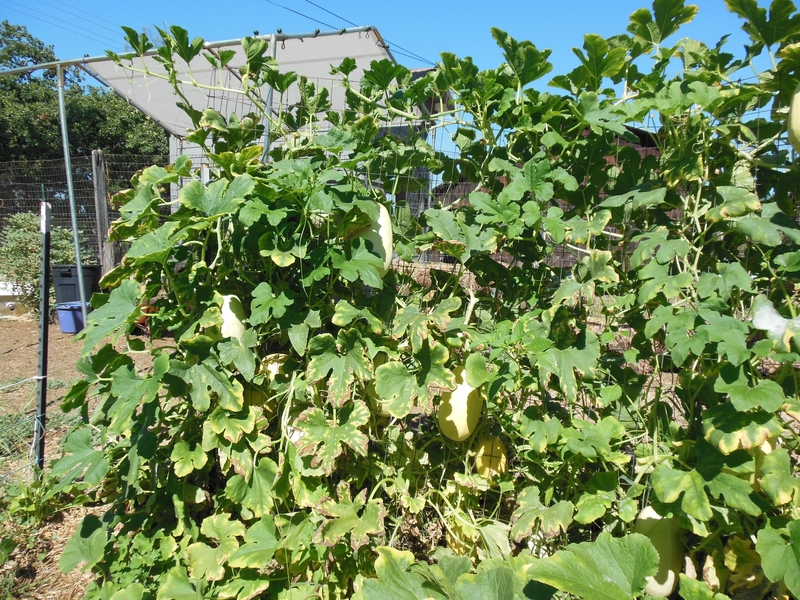 Our gazebo is covered in vines of "Trombetta" squash, an Italian heirloom summer squash. This mild, nutty-flavored squash loves heat and loves to climb. The seeds are in the bulbous end, leaving lots of creamy flesh for eating. It's best harvested at 10-12", but this 3" long specimen was hiding in plain sight. We have better luck keeping an eye on the spaghetti squash. We have a bounteous crop hanging on the trellis instead of sprawling throughout the garden. They'll be ready to pick in late September as they turn dark yellow and the skin hardens. It's important to let this variety of winter squash mature on the vine to prevent it from rotting once harvested.